Ahead of the Modenus BlogTour trip to Cologne for Imm 2013 we are highlighting some of the exhibitors we are looking forward to meeting. Don’t forget, you can also follow our bloggers here, and on the #BlogTourCGN Twitter hash tag. 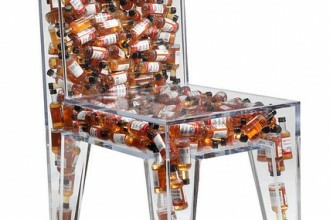 We are always interested in seeing furniture which is designed by architects. 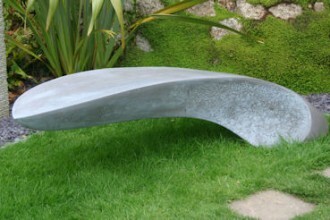 They have an understanding of space and function which is reflected in their distinctive pieces. 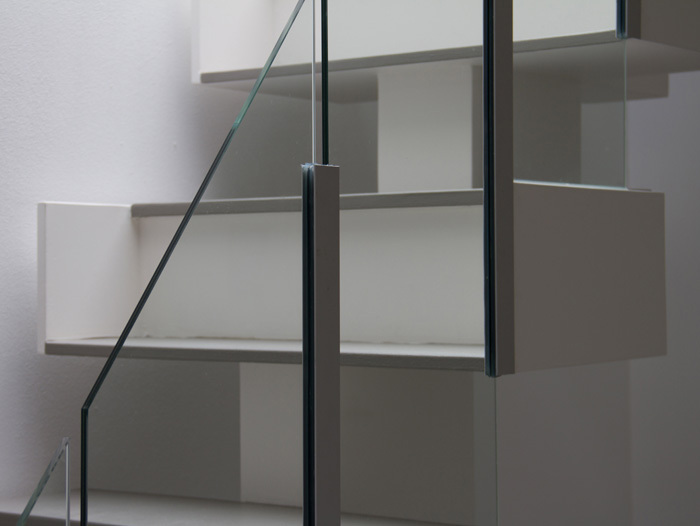 Reiner de Jong is a Rotterdam based architect and designer who also has a fascinating blog which is well worth a visit. 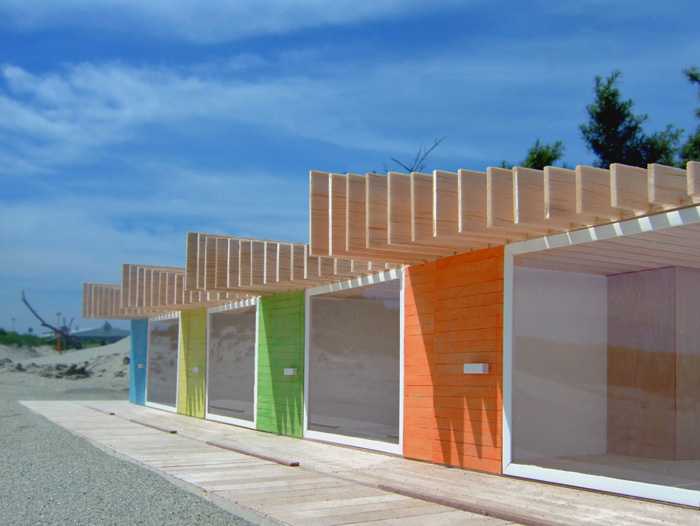 These are Reinier’s Bournemouth beach huts, designed for Bournemouth in England. As Reiner says’ Beach huts in England need to be a shelter from sun, rain and summer madness’. 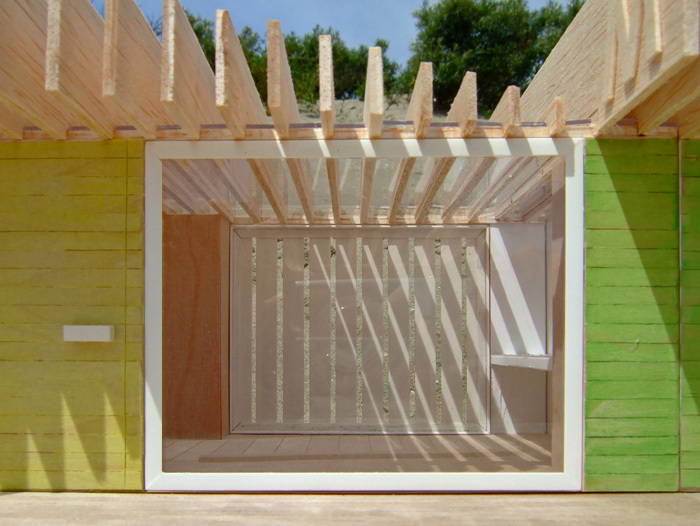 His clever design ticks all the boxes creating outdoors shade and indoors shelter. We would be a little nervous about how that lovely glass wall would hold up against the ‘madness’ and look forward to asking him. 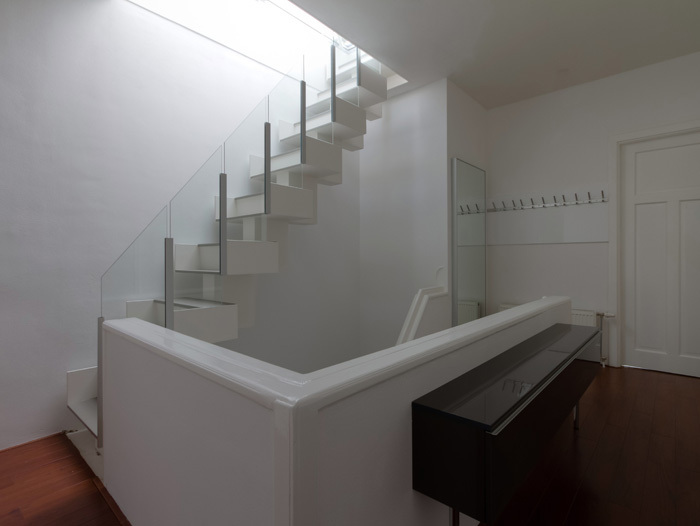 We do like a good staircase and the DUB staircase, leading to a roof terrace in an apartment in the Hague, is certainly an interesting one. At first sight those steps look unfeasibly high. They are, however, two steps in one. So rather than simply being a mechanism to get from one level to another these stairs become a point of interest. So what about the furniture? It all does something unexpected. Just how practical its utility is we leave to you. 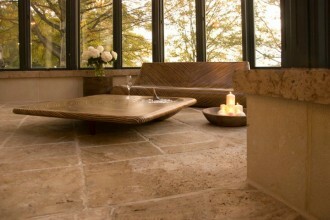 However we do think all of the pieces explore interesting ideas and as such are to be applauded. 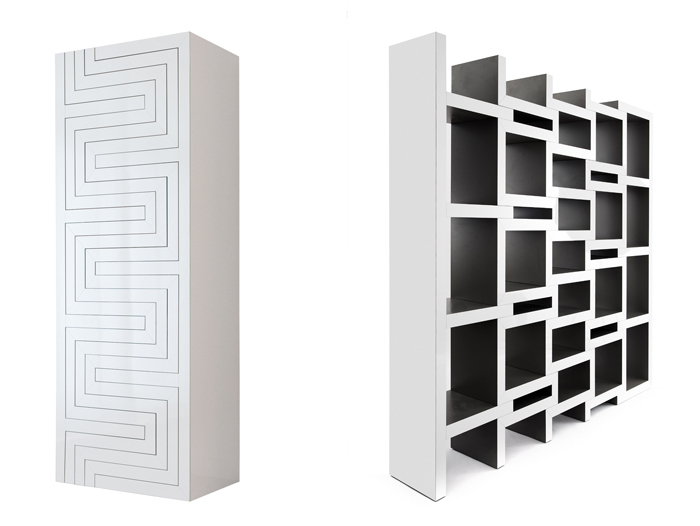 The REK bookcase is billed as a ‘bookcase that grows with your book collection’. 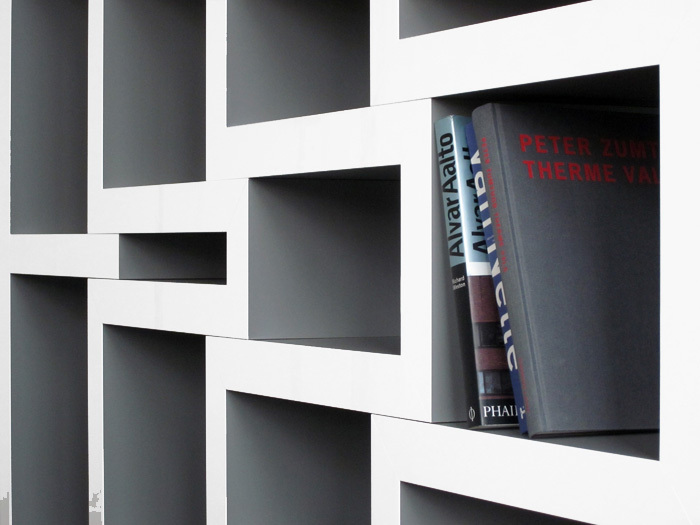 The zigzag shaped parts slide in and out and the resulting spaces are where you put the books. We’re not sure about unloading and loading the shelves every time we would want to add some books but the idea is certainly interesting. 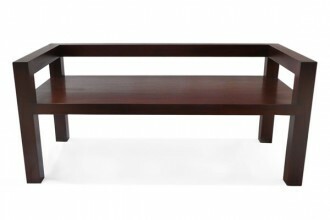 The REK coffee table performs a similar trick. You can slide out its components as needed. 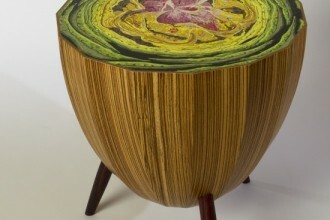 The extent to which anyone might actually need a coffee table which can expand or contract as needed is, perhaps, a moot point, but once again its good to see some fresh ideas. 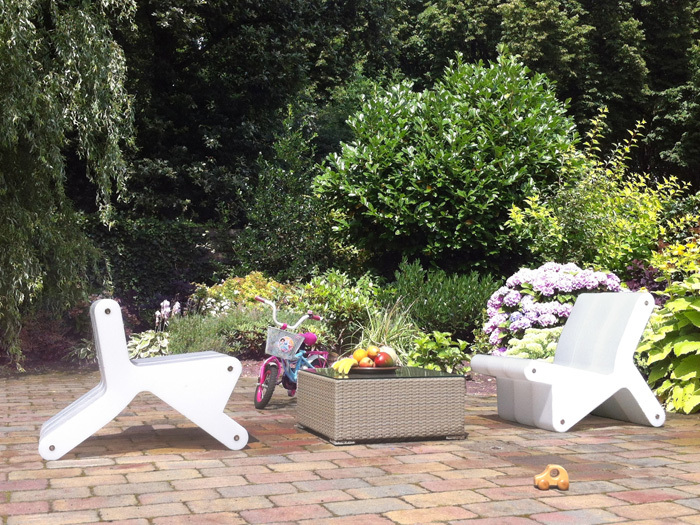 The KEER chair is another piece of furniture you can play with. 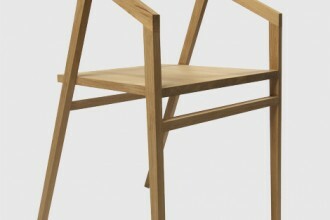 Depending on how how you turn it, it can be can be a stool, a side chair or a lounge chair. 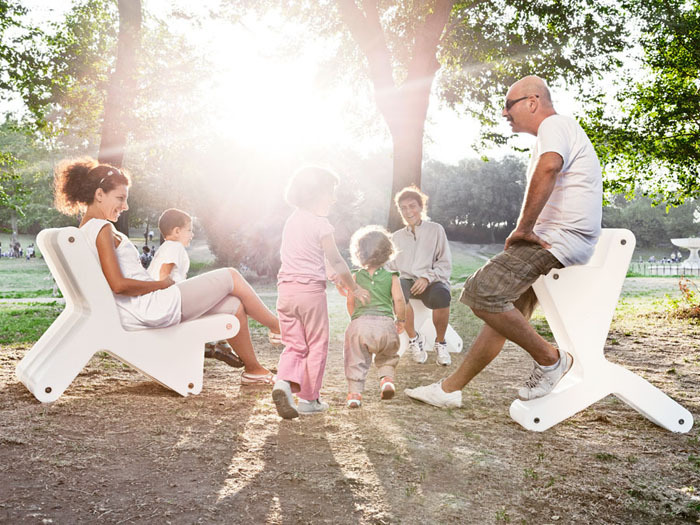 Made from lightweight polyethylene with built in magnets, the components can be attached to each other, maybe to form a bench. 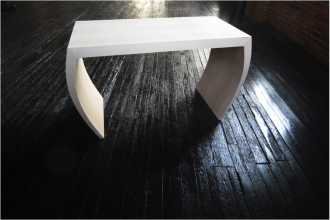 Clearly, Reinier de Jong doesn’t make furniture to buy and forget. It calls out to be moved around, changed and played with, all of which sounds like good fun to us. Images from Reinier de Jong.